UPDATE March 4, 2019: Paving has been completed from Avenida Fresca to the north with the exception of the fog seal. Further work on the Rancho Grande Pavement Reconstruction Project will be delayed while the contractor, Sunland Asphalt, fulfills a prior commitment on another project. This commitment was known to city staff prior to awarding the contract. Work is expected to resume on or about May 13, 2019. Sunland Asphalt anticipated having most of the project completed before leaving. However, weather, poor soil conditions, and the need for extensive work to create a stable roadbed have created delays to the projected schedule. As always, we kindly request your patience and cooperation throughout the project so that we can provide significantly improved roadways. UPDATE February 12, 2019: Work crews are continuing to remediate and stabilize the soil to provide a solid foundation for the road bed. Recent wet weather has delayed some scheduled work. In cooperation with our contractor, we have made modifications to the project schedule and plans, and progress is continuing. The Rancho Grande pavement reconstruction project is tentatively scheduled to begin on January 28, 2019. 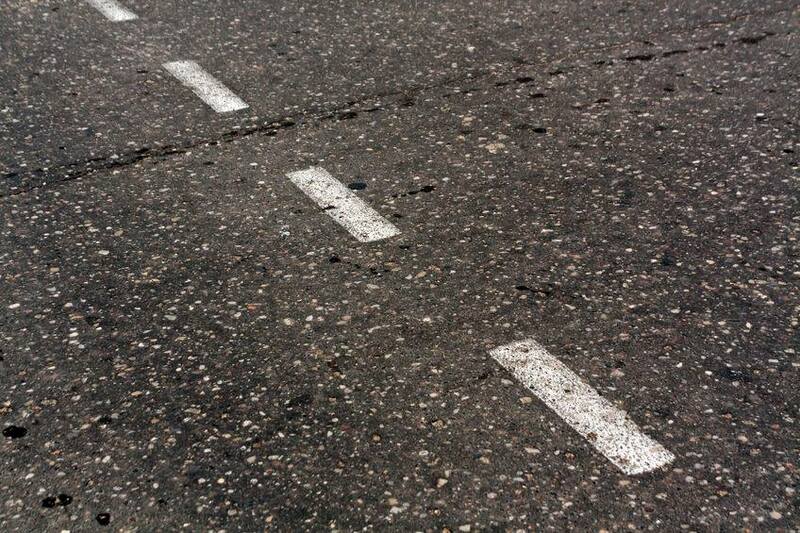 The City of Casa Grande is excited to get this long-awaited pavement project started. The city will hold two informational sessions to discuss the project and answer any questions. Both meetings will be held at Rancho Grande Park, 2540 N. Pueblo Dr. The first meeting will be held Friday January 25, 2019 at 5:00 p.m. and the second on Saturday January 26, 2019 at 10:00 a.m. The project is planned to include all streets within the Rancho Grande subdivision and will consist of a full depth reconstruction of the existing asphalt pavement. This will entail milling (grinding) and removal of the existing asphalt pavement, reworking subgrade materials to provide a solid subgrade for the new pavement, and injecting cement into the soil where necessary. Soils will then be regraded with heavy equipment and finally placement of a new asphalt surface. The project is expected to take about four months to complete. However, the schedule may be affected by weather. Streets are planned to remain open while the work is taking place with the exception of placing the new pavement, but some inconvenience and closures will be unavoidable. We kindly request your patience and cooperation throughout the project so that we can ultimately provide significantly improved roadways. Crews will notify residents that their street will be paved 48 hours prior to paving. We ask that residents refrain from running irrigation systems or running water into the street during the construction process. Trash will be collected on the normal scheduled pickup days before roadway work begins- PLEASE BE SURE TO PLACE CONTAINERS OUT BY 6:00 AM on your regular scheduled pickup day. It is always our top priority to provide a safe work environment for all workers and residents, so please use caution while construction is underway. Thank you for your patience and cooperation during construction. Will I be able to pull out of my driveway during construction? Access to driveways will be maintained at all times, however, please be aware that up to 20-minute restrictions may occasionally be expected during construction. What about on-street parking? Will I be able to park in front of my house? Where can I park/not park? “No On Street Parking” signs will be placed prior to milling and paving work begins. At this point, please have all vehicles, trailers, boats, etc. off the street. Anything left parked on the street will be towed at the owner’s expense. How soon will I be able to park in front of my house again? When the “No On Street Parking” signs have been removed. Is there going to be any sidewalk work? Are curbs and driveways going to be repaired or replaced? There will be no sidewalk, curbs or driveway work. Are alleys going to be paved? No alleys will be paved. Will updates/progress reports be posted to the website or sent to residents? We anticipate posting updates/progress on the City’s website. Who can we call with problems or complaints? Please direct any questions, comments or concerns to the Project Hotline at (520) 834-8665.